Magnificently designed in Panchdhatu, the rare and exclusive Siddh Meru Shree Yantra on two inverted triangles forming a star which represent to Kuber Yantra . This Yantra chowki consists of a beautiful Meru shree yantra on a centre of 3D Kuber Yantra Chowki and representation of all 9 planetary Gemstones and auspicious symbols such as Mantras, Swastik and Om. 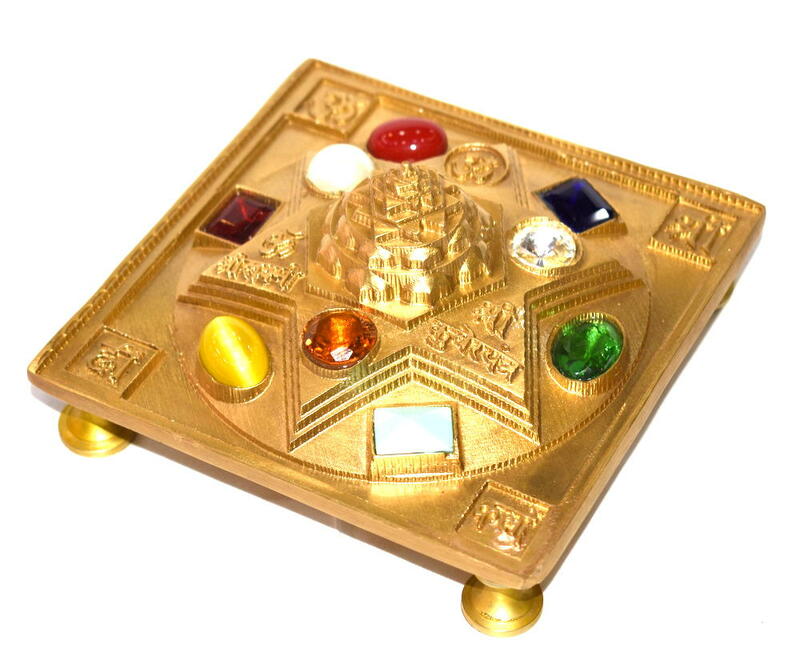 Lakshmi Kuber Yantra Chowki – Embellish your Life with Luck and Luxuries . 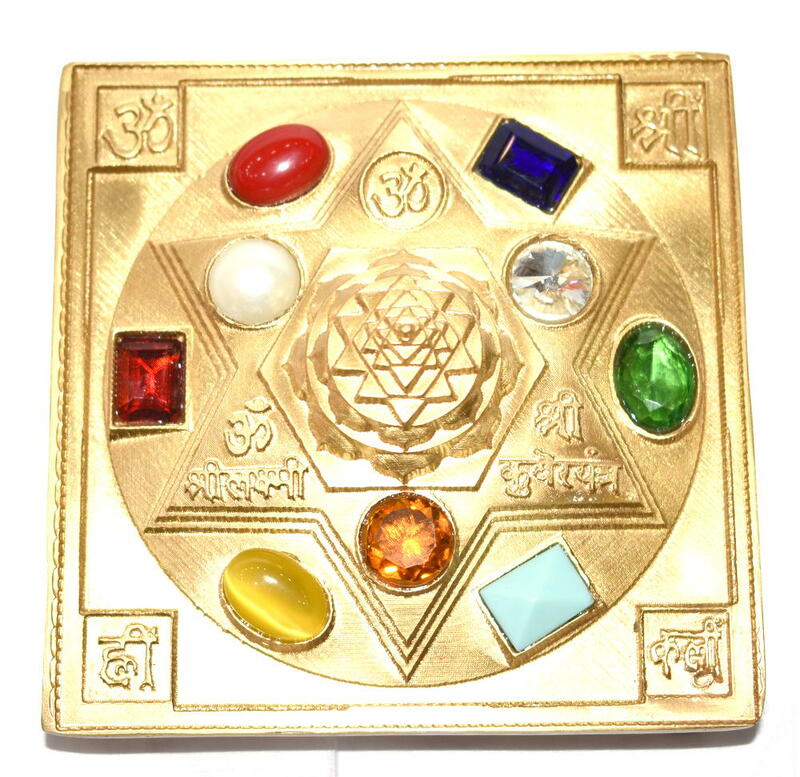 Lakshmi Kubera Yantra is a red carpet welcome to money, wealth, good fortunes and prosperity .Lord Kubera and Goddess Lakshmi symbolize material wealth and riches. 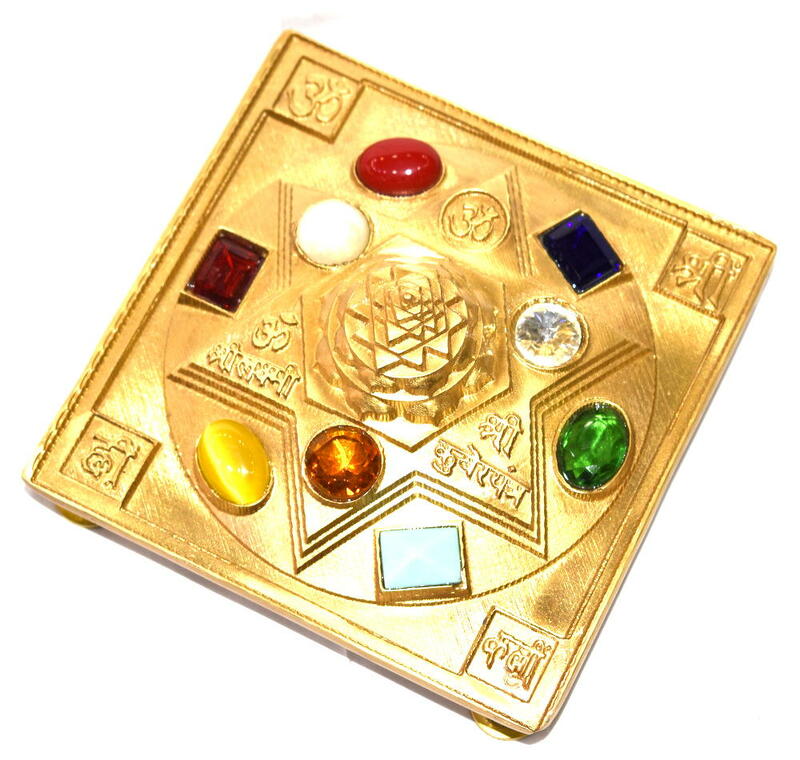 Worshipping this rare yantra will be gifted with all luxuries and riches. The power lines of the Yantra can sweep away from misfortunes and pour monetary gains into devotee life. 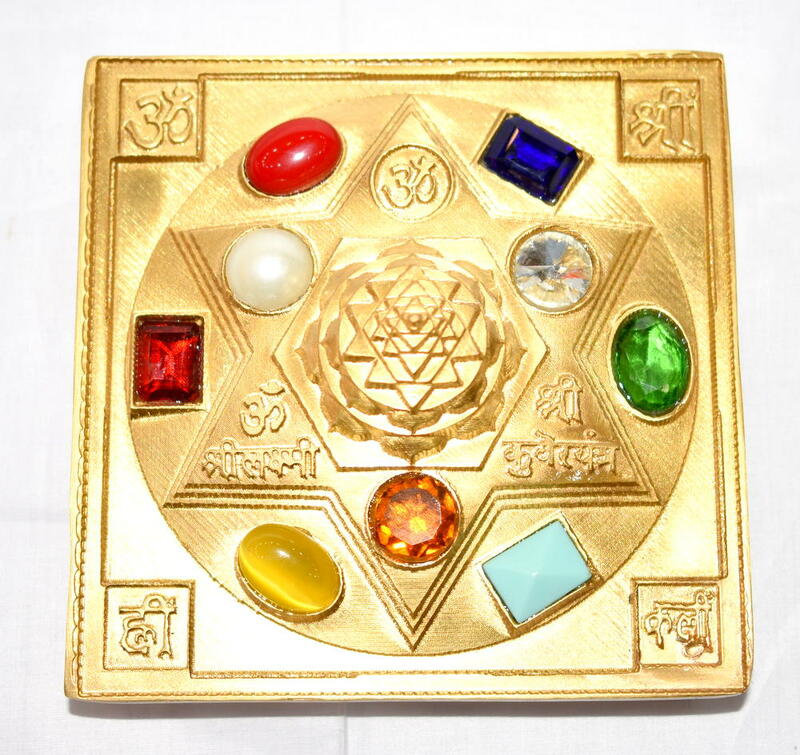 The powerful radiations of the Yantra will bring about positivity and magnetize all manner of riches towards you. The geometric patterns on the Yantra will amplify your sources of income, and you can receive monetary gains from unexpected sources as well. You will enjoy a stabilized financial position, and there will be no room for financial crunches at all. Fulfilling your material desires will no longer be a challenging task to accomplish when you own the Lakshmi Kuber Yantra. it is best to Install the Yantra in the North East direction of your dwelling. North East is also called Eshaan corner and is recognized as the place of God. This direction is seen as highly charged place as it is the confluence of energies coming from the North magnetic pole and sun rays from East. The Yantra placed here gets charged with divine vibrations from universe and provides positive transformation energy/energies to the dwelling through its mystical geometry.